The formation of the Anglican Church of North America (ACNA) in early December (still to be ratified in 2009) is seen as a fulfillment of a declaration signed in Jerusalem last summer by the same prelates calling for a new era of the Anglican Communion. The organizers of the denomination seek the approval of leaders in the global Anglican Communion as a separate yet connected “province” of the church. It is not known if the new church will ask the Archbishop of Canterbury to recognize the ACNA as an official member of the Anglican Communion. But the idea is that the ACNA will serve as a non-geographical province for orthodox Anglican alongside the mainline Episcopal and Anglican bodies in the U.S. and Canada. Episcopal and some international Anglican leaders are likely to resist recognizing such a province, although there may likely be a gradual and defacto recognition by a segment of bishops, writes journalist David Virtue on his website Virtue Online. In the last few years there has been considerable fragmentation of conservative Anglican protest in the U.S. and Canada, especially as various parishes and whole dioceses split from the Episcopal Church and the Anglican Church of Canada and put themselves under the authority of bishops in Africa and Latin America. Other dissenting individuals and parishes formed new coalitions or joined the several “continuing” bodies that had split off from the Episcopal Church during the last century. Much of the furor stemmed from the consecration of openly gay Bishop Gene Robinson of New Hampshire in 2003. The new church body consists of some 700 parishes and an estimated 100,000 members, compared with 2.3 million members in the Episcopal Church. 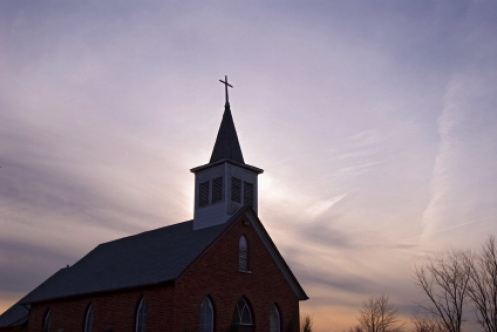 Officials of the new church contend that other conservative parishes and individuals will join the denomination once they view it as a stable alternative to the mainline Episcopal and Anglican bodies of the U.S, and Canada. Adding weight to the contention that the ACNA is not the usual breakaway church is the fact that four Episcopal dioceses that have been in the forefront of conservative protest are founding members, though not all the parishes in these dioceses have joined the new body (the dioceses are: San Joaquin, California; Quincy, Illinois; Fort Worth, Texas; Pittsburgh). The head of the ACNA is Bishop Robert Duncan of Pittsburgh, who led his diocese out of the Episcopal Church in October. Equally significant are the number of conservative Anglican groups and networks joining the ACNA that have either recently separated or have been on the verge of separating from the Episcopal Church and Anglican Church in Canada, such as American Anglican Council, the Anglican Coalition in Canada, the Anglican Communion Network, the Anglican Mission in the Americas, the Anglican Network in Canada, the Convocation of Anglicans in North America, Forward in Faith North America, and the bishops and parishes linked with Kenya, Uganda, and South America’s Southern Cone. The new church will be a patchwork of Anglo-Catholic, evangelical, and charismatic expressions. Such a divisive practice as women’s ordination will be allowed, though it will not be mandated throughout the church. Anglicanism in the U.S. and Canada is marked by close to 100 split-off denominations, and most of the “continuing” churches that broke off from the Episcopal Church earlier in the 20th century (usually over the ordination of women and changes in the liturgy) remain apart from the ACNA. But the Reformed Episcopal Church, an evangelical body that split from the forerunner of the Episcopal Church in 1873, has joined the new church.